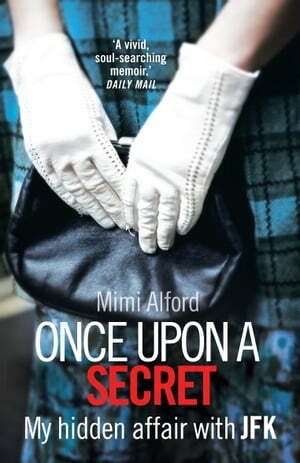 Collins Booksellers - Once upon a Secret by Mimi Alford, 9781409006763. Buy this book online. The sensational story of Mimi Alford and the secret she kept for 40 years - her teenage affair with President John F Kennedy during her time as a White House Intern. During the 18 months that Mimi Alford was President John F Kennedy’s lover, he never kissed her on the lips. For the naive All American girl, the JFK White House was a place for which she was not remotely prepared. Dominated by the charismatic and sexually magnetic figure of the president, it was as a 19-year-old intern in the White House press office that Mimi Alford became the object of Kennedy’s affections, and within days they had started a relationship. She lost her virginity to him on her fourth day at work. In Once Upon a Secret, for the first time, Alford has revealed every detail of her experiences as Kennedy’s mistress – an affair that was ended only by his assassination. Mimi has decided, after 40 years of silence and deep reflection, to tell her story.